The following content is created in consultation with Restaurant Association Metropolitan Washington. It does not reflect the work or opinions of NBC Washington’s editorial staff. 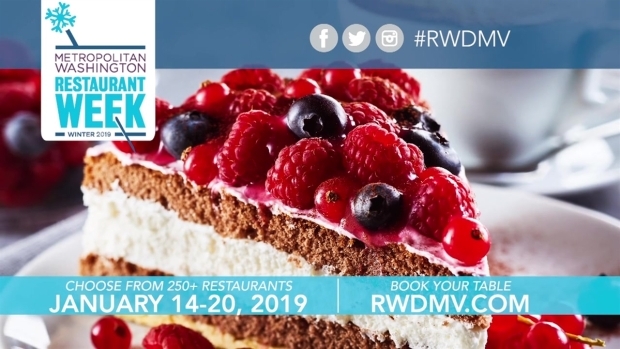 To learn more about Metropolitan Washington Restaurant Week, visit RWDMV.com. A new year brings new food and flavor trends—and a chance for DC’s finest chefs to debut buzzworthy new dishes at Metropolitan Washington Restaurant Week. Here’s an advance look at what you can expect to taste, sip and savor at the more than 250 restaurants participating in this year’s event. If you’ve never heard of this vegetable, you’re not alone. “It’s a hybrid of cauliflower and broccolini that has long edible stems and blonde, open florets,” says Chef Tracy O'Grady of 1789 Restaurant. She uses it to complement entrées and add flavor and texture to side dishes and crudité platters. Look for caulilini on Restaurant Week menus including 1789 Restaurant, where it will be sauteed with baby artichokes and served with garlic-crusted rack of lamb. And keep an eye out for new plant-based ingredients like kelp, dandelion greens and cassava. Fermented food is nothing new—in fact, this method of preserving food dates back to 4000 BC. But the past four years have seen triple-digit growth in menu mentions of fermented ingredients like yogurt and kimchi. In 2019, says Chef Tim Ma of American Son at Eaton Workshop and Kyirsian, expect chefs to strive for even more intense and complex flavors by doubling their fermentation techniques. At Restaurant Week, look for double-fermented greens like kohlrabi, mustard greens and scallions. If we’ve learned anything from the past, it’s Don’t Mess With Ketchup. Americans don’t like it blue, green or sliced. But chefs like Ma think that we just may be ready for high-end ketchup infused with aromatics and used as a topping or the base of dishes like Chinese ketchup shrimp. Innovations like smoked apricot ketchup are starting to up on menus, and sauces in general are expected to get a revamp. At Restaurant Week, look for unusual condiments served with anything from fries to eggs. Imagine apples that seem to be normal but when you get closer they surprise you. Such is the case of the green dragon apple. This auspicious apple has surged in popularity because of its close resemblance to a regular yellow apple. The green dragon apples awes you with its intense, sweet aroma resonating from it’s tropical overtones reminiscent of pineapple and pear which enriches it’s sweet taste. Similarly, the mountain rose apple shares in this delight. When you bite it, you discover that “it has a pink flesh and crisp and juicy texture,” says chef O'Grady. Enjoy this apple’s sweet and tart flavors at Restaurant Week in an apple gazpacho mousse or in a heirloom apple salad. 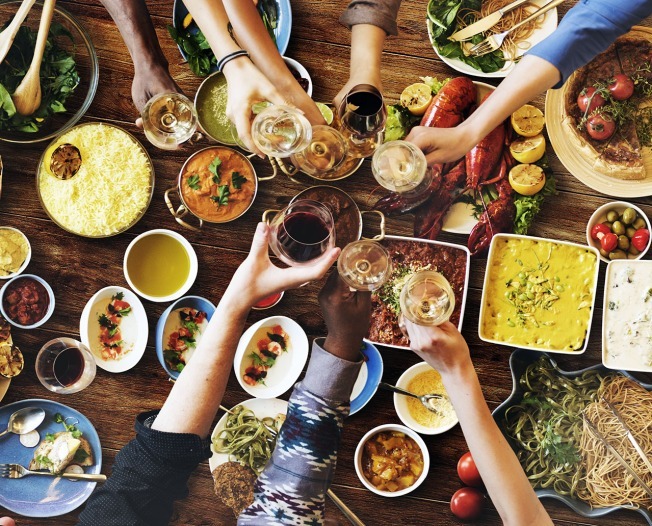 In 2019, experts suggest, our flavor preferences will move from bitter to sour, thanks in part to the rising popularity of Filipino, Korean and Persian cuisines. We may see more vinegar-based sauces, as well as the addition of sour fruits like rhubarb and tamarind. Look for sweet and sour combinations, and according to Chef Ma, traditional Asian dishes prepared with French, Italian and American techniques. His Restaurant Week menus may include gnocchi prepared with tofu instead of flour, and accented caramel-fish sauce popcorn. Try these flavors and more during Metropolitan Washington Restaurant Week, where over 250 restaurants across the DC area will offer special prices on three-course, prix-fixe meals for brunch, lunch and dinner from January 14 to January 20, 2019. Go to RWDMV.com to view participating restaurants and make reservations now.